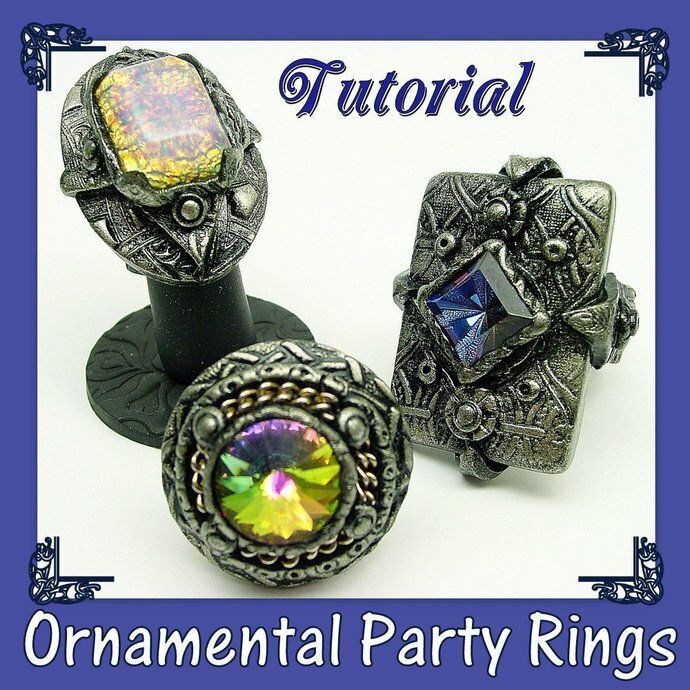 With this tutorial create large stylish rings to show off at parties, concerts, dinners or other functions. Create 3 versions with no molds and no special tools or materials required. All differ in style, some are size adjustable, one has a wide polymer clay band reinforced with wire, a second is size adjustable and a third has a wire band. The ring base structure is firmly embedded into the clay so no glue is necessary between those components. Tutorial is 23 pages, 64 clear steps and 68 photos.